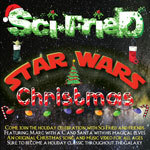 Our good friends Sci-Fried have come out with a new Christmas song, and they’ve made it a free download for your geek enjoyment this holiday season, and for many more to come! Tim and Summer discuss “The Fall of Centauri Prime”. Londo’s journey into his solitary reign, presiding over a beaten and broken populace, is now complete. 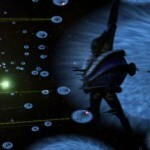 And did Delenn do the right thing in trying to ignore Lennier’s “dying” declaration — did her actions help, or make Lennier feel worse? Deep Geeking: Tim and Summer discuss “Movements of Fire and Shadow”. Tim believes the episode doesn’t quite pull together in as good a cohesive satisfying whole as it could have been, saving graces of the ability of various bipedal races to fart on command notwithstanding.